I am a masternode owner residing in Japan, and I have been investing in Dash since March of last year. I'm writing because I wanted you to know that Dash is facing a difficult situation in Japan. Because I'm not great with English, I have had this text translated. 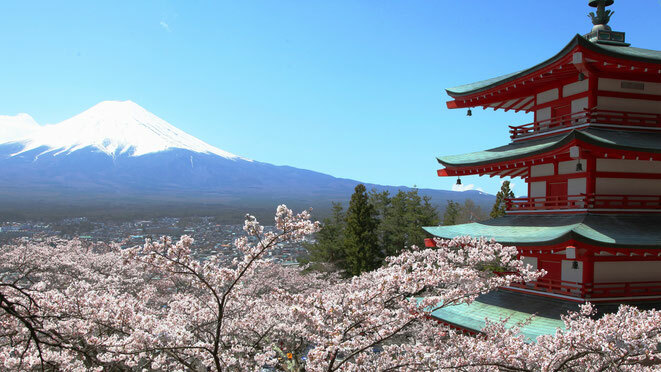 On April 1 last year, new Virtual Currency Regulation came into effect in Japan. On September 29, 11 cryptocurrency exchanges registered with the Financial Services Agency (FSA). 5 more services have registered since then, bringing the total to 16. The list of every cryptocurrencies handled by these 16 services is colloquially known as the "Whitelist" among investors, because it lists every cryptocurrencies recognized by the FSA. There are currently 19 currencies on the "Whitelist". 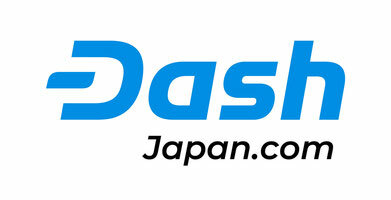 The only cryptocurrency exchanges in Japan which handle Dash are Coincheck and Kraken. They also handle Monero and Zcash. Right now, they are continuing their operations while awaiting registration. With the NEM hack involving Coincheck, there has been a lot of discussion wondering why Coincheck isn't registered with the FSA yet, and more and more people are speculating that it's because they handle cryptocurrency with a high degree of anonymity. The Nikkei and Asahi Shimbun newspapers both published articles which reached that conclusion. Even if Dash is not included on the "Whitelist", Japanese investors can still trade in Dash using foreign exchanges like Binance and Poloniex, and it's perfectly legal for merchants to accept Dash in transactions. However, because it's difficult to exchange cryptocurrencies not on the "Whitelist" for Japanese yen, I doubt many merchants will accept it. In addition, although the FSA has said that the "Whitelist" is not an endorsement from the government, many investors will view it that way. As you know, the Japanese news agency Jiji Press reported on March 17th that Coincheck was moving in the direction of ceasing dealings with Dash, Monero, and Zcash. There has yet to be an official announcement at this time, but it appears that Coincheck judged these coins to be at a high risk of being abused for money laundering purposes. It has also been reported that Coincheck plans to purchase these three types of coins which they are holding for their customers at a set rate and only perform payment after a rigorous identity verification process. It is still unclear as to whether this decision was made by Coincheck, who has currently fallen out of favor in Japanese society, in order to appease the Financial Services Agency or if it was made under the direction of the Agency. I sincerely hope that Kraken, who deals in Dash, Monero, and Zcash as well, will not follow in the footsteps of the moves Coincheck is making recently. Although there is quite a bit of speculation fever surrounding cryptocurrency in Japan, many investors and news agencies, as well as the controlling authority here, the Financial Services Agency, have yet to gain a sufficient understanding of these currencies. Misleading reports stating that "anonymous cryptocurrencies" simply exist for the purpose of doing bad things continue to spread without a sufficient understanding of the importance of the privacy and fungibility of cryptocurrencies. What's more, Dash is always lumped together with Monero and Zcash who haven't fully released their blockchains. I wrote that it is absurd that Bitcoin is listed on the "Whitelist" while Dash is not. That is all I have to report on the current situation in Japan. Good to know of a Master Node in Japan, I'm in the US but lived in Japan for 8 years while in the US Air Force and reallyove Japan. Another option to get DASH is to use Shapeshift and convert from dozens of other coins. I usually do so from Coinomi which is very convenient. Is DASH putting any effort into Japan as far as getting on their white list? Perhaps you can submit the proposal? Thank you for helpful information. I am sending an opinion to the FSA, but my power is small. The matter of "white list" is decided by negotiations between exchanges and the Financial Services Agency. I also contacted the Core Team and confirmed that they supports Coincheck and Kraken. I am considering submitting a budget proposal for dissemination in Japan. There are no laws in Japan which regulate only highly anonymous cryptocurrencies. The lawyer Satoshi Mihira made the following Tweet. "Legally, a "notification" is all that is needed to add a virtual currency to the list of "traded currencies." The Financial Services Agency does perform an inspection to determine whether or not the currency fits the definition of a "virtual currency," but they cannot make judgments as to whether or not it is valid to list on the public market." In other words, the Financial Services Agency (FSA) has no authority to prohibit the use of Dash. The FSA can, however, refuse to allow the registration of an exchange which deals in highly anonymous cryptocurrencies. The FSA does not allow the registration of Coincheck because they have determined that the company's monitoring and reporting readiness as they pertain to money laundering are insufficient. Coincheck's position has become even weaker due to the NEM hack incident. Meanwhile, there have also been several other media reports which made Dash look bad. Professor Masashi Nakajima from Reitaku University (a former staff member for the Bank of Japan) spread the false information that "Dash was created for doing bad things" on an internet news program. There was also a news report which suggested that criminals might be planning to launder money using Dash. What is needed right now is support for companies like Coincheck and Kraken to accurately explain Dash to the FSA, a clearing up of the misconceptions held by the FSA, and, furthermore, efforts to make the privacy and fungibility of cryptocurrencies known to the general public in Japan and clear up any misconceptions they may have. I would explain this in the following way. "The Financial Services Agency touts the protection of the user. Not recognizing the privacy of cryptocurrencies goes against user protection. Furthermore, because Bitcoin has low anonymity and fungibility, those who wish for anonymity resort to over-the-counter (OTC) trading without using an exchange. OTC trading prices are higher than regular market prices, making this form of trading appeal to sellers as well. This sort of environment quickly becomes a hotbed of money laundering and tax evasion. What's more, the FSA claims to be working towards the cultivation of the virtual currency market, but the exclusion of privacy coins will almost undoubtedly place pressure on the development of many coins."